I’ve been on a bit of a writing ‘vacation’ since the fourth of July weekend, trying to sort out what I can continue to do in my increasingly limited spare time. I’ve enrolled in a wine marketing course this fall and I am being considered for a print writing opportunity, so I am at a point in my career where I need to make some decisions regarding my writing. I began an editorial calendar to figure out what I can do when so that I am able to enjoy free time as well. However, these past few weeks, I’ve had the opportunity to taste some interesting wines and an olive oil that I wanted to share with you. Therefore, voilà, an unexpected break from my self-imposed hiatus. These wines and olive oil are worth tasting. From my palate to yours, enjoy! What I most love about wine is that one sip can evoke time, place, people, and emotions. 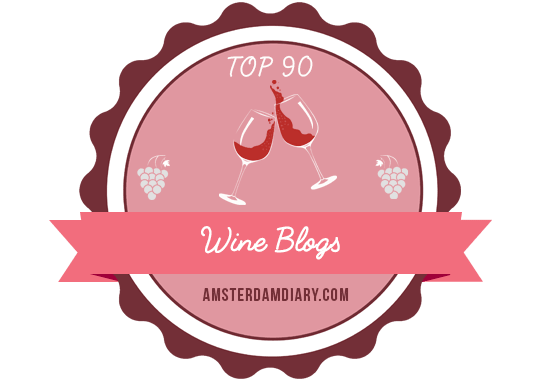 The 2015 Antigal Winery & Estates UNO Malbec takes me back three years to Mendoza, Argentina, the trip of a lifetime with a wonderful group of travel and writing professionals like me. Fermented and aged 12 months in French and American oak and sourced from higher-elevation, estate vineyards in Uco Valley, Tupungato, this malbec is not at all shy, with aromas of violets, cedar, blackberries, and spice. This dark ruby red, medium-bodied delight – with its interplay of vanilla, pepper, and dark fruits – is calling for grilled meat, roasted vegetables, and hearty potatoes. In this moment, my mind recalls an Argentine asado, whose intoxicating flavors of wine and food awaken memories of horseback riding in the Andes and late-night laughter in the streets of downtown Mendoza. This wine from Pike Road, the sister winery of Elk Cove, defies its $19 price tag by offering a fantastic example of Oregon pinot noir. Sourced from both estate and partner vineyards in the Williamette Valley, the grapes are hand harvested and sorted, then the juice is fermented in open stainless steel tanks and barrel aged 10 months in French oak. The resulting wine is brambly, dusty, earthy, and herbal. The night I tasted it, I took the winery’s advice on the label and paired it with salmon for a lovely dinner at home. One of my favorite wines of a recent visit to DaVero, the estate sangiovese is biodynamically farmed at their three-acre Hawk Mountain Vineyard, wild yeast fermented, then aged in all neutral oak. This wine possesses contrasting floral and leathery aromatics. On the palate, black cherry, blackcurrant, and acid abound. The same sangiovese is used in their 2013 Estate Altobasso blend of sangiovese (60%) and barbera (40%), which was the first DaVero wine to captive my palate and my heart a year ago during a Twitter tasting of Dry Creek Valley wines. This vermentino is produced in Sonoma County by DaVero, but sourced from the Schatz Family Vineyard in the Cosumnes River AVA of San Joaquin County, which is in the northwestern part of Lodi. DaVero takes a biodynamic, non-interventionist approach to winemaking to handcraft this wine, including foot stomping the grapes, two days of skin contact for added complexity, and native yeast fermentation. This wine is everything you want in a summer white: lemony, crisp, mouthwatering, and delectable. Now in perpetual pursuit of an alternative to sauvignon blanc, and smitten with vermentino thanks to DaVero above, I enjoyed this small lot, Fields Family offering prior to the start of the Wine Bloggers Conference, sitting by the pool at Bare Ranch talking to winemaker Ryan Sherman. I’ve always preferred to taste with the winemaker because usually I connect better with the wine through the person making it. After whole-cluster pressing, the wine is fermented in stainless steel, dry racked semi dirty, then spends about seven months aging sur lie in five- or six-year-old neutral barrels. Sherman’s love of vermentino, with Ryme’s “Hers” version as his inspiration, really shines. Bright, floral, textured, and tart – as well as exceptionally delicious – the Fields Family vermentino was the perfect accompaniment to that summer night in Lodi. I don’t typically review olive oil, although I have, nor do I always eat parmesan herb ciabatta, but when I do, I dip it in Mainelli Olive Oil Family Reserve 100% Extra Virgin California Olive Oil. Each year, Tom Mainelli and his team carefully taste, select, and bottle some of Northern California’s best olive oils. This oil is one you want to taste, with its exquisite flavors, purity, and warm bite, indicative of great quality. Drizzle on almost everything. Delightful. Yes, please. In 1938, the grandparents of third-generation vintner Chris Madrigal emigrated from Mexico to the United States to seek a new farming life in the Napa Valley. Many of you know that I am a big fan of Flora Springs. While Flora Springs is one of Napa Valley’s largest family owned and operated wineries, the staff there always make me feel welcomed, whether I visit the tasting room or the estate. In the wholesale market, you might know Flora Springs because of their iconic Trilogy red blend, as well as their readily-available Napa Valley cabernet sauvignon, chardonnay, merlot, and sauvignon blanc. However, there is more to Flora Springs than meets the store shelf eye. If you delve into their winery-only wines, you will discover some hidden treasures. One of these surprises is the 2013 Poggio del Papa. The other night, I was in the mood for pizza and wine and decided to open this, purchased at the tasting room for $40. The Poggio del Papa is a crazy-cool, Napa Valley version of a super Tuscan-style red blend consisting of 76% sangiovese from Cypress Ranch Vineyard in Pope Valley, along with small percentages of other varieties like 10% malbec, 10% syrah, and 4% petit verdot from vineyards in Oakville and Rutherford. The resulting wine is red fruit dominant, yet with underlying layers of black fruit, cocoa, mint, and spice. Dusty, soft tannins coupled with juicy acidity seal the deal. Only 667 cases were produced, so this wine won’t last long. I recommend buying a few bottles to taste across the next decade. Can you keep a secret? In my opinion, the 2013 Poggio del Papa is the one of the best, lesser-known wines that Flora Springs crafts. Therefore, because of its uniqueness, food friendliness, and age worthiness – all at an affordable price point – I’ve selected the 2013 Flora Springs Poggio del Papa as a Beth’s Smart Sip. What’s in my glass and around the top of my wine bottles! This oaked Chardonnay is very much New World in style. The grapes are estate grown in New Jersey and sourced from other vineyards. The wine spends six months in American oak, medium toast. It’s both rich in color and style, gold, with sweet tropical and cooked fruit flavors, like golden delicious apple and pineapple, as well as vanilla and creamy, butter-like flavors from full malolactic fermentation. I paired this wine with grits, breakfast for dinner. Sample provided by Old York Cellars. This Merlot is what I would call a substantial, Cabernet lover’s Merlot. It has both red and dark berry flavors, distinct tannins, a smoky quality, and a bit of spice on the finish. Because it’s very young and has 15.5% alcohol, it would benefit from decanting or some bottle age. I paired this wine with pork chops. Sample provided by Old York Cellars. The social media representative for DripTeez reached out to me and asked if I would like to try some samples and I said yes. The premise is to stop wine from dripping and running down the bottle, which I know happens to all of us from time to time. I was pleased to discover that not only do they work, they are also handmade in the United States. They can be custom made with your favorite bling or logos. Wine is meant to be fun and DripTeez is a practical, playful way to stop drips and dress up your wine bottle.